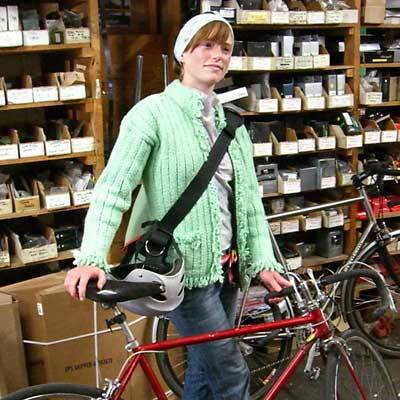 Schwinn Girl popped into the bike shop with a loose shifter cable. We all agreed the bike was way older than her and it was a 50s or 60s era Varsity. She was convinced it was from the 80s, but loved the bike just the same and for her it seemed like a fashion statement.